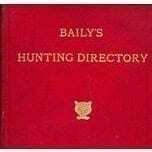 Welcome to Baily’s Hunting Directory. Since it’s earliest days Baily’s has been acknowledged as the best and only comprehensive listing of packs of hounds of all types from around the world. Our listing started in 1897 and we update this online version on a daily basis. Baily’s provides subscribers with unique access to the past, present and future of hunting with hounds. For years Baily’s has been referred to as ” the red-backed bible of hunting” and we are confident that this latest iteration heralds many more decades of Baily’s being the ‘go to ‘ guide for anyone interested in finding out more about all types of hunting and hounds. 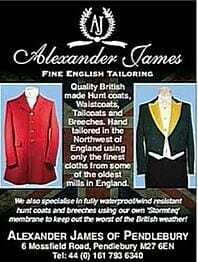 There is more to Bailys than just our well known ‘Directory’ section which has been listing hunt details since 1897. The Directory section has 3 elements to it: a listing page containing hunt details, a gallery page featuring the best images from that hunt, and, a related services page featuring hirelings, liveries available in that hunt area. Our extensive gallery of images features images from hound shows and events, and an extensive collection of ‘vintage’ images from our archives. The ‘shows and events section’ features hound show results section going back to 1893. In the News and Articles section subscribers have access to a repository of hundreds of interesting and helpful articles from some great authors covering the world of hunting with hounds and the country lifestyle, latest news from hunts worldwide and hunting sons and poetry. If that was not enough we now offer a section on collecting and identifyng hunt buttons led by one of the World’s foremost authorities on hunt buttons. We have introduced two ‘free to access’ sections;- the first is our ‘hound name selector’ we have designed this to be your first port of call when faced with litters that need names following a certain pattern. It is updated regularly but currently contains over 5000 names. 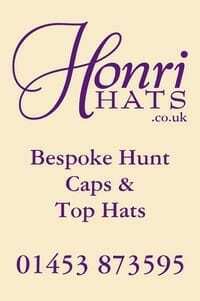 For those who collect hunt buttons we have a very active forum for new or experienced collectors. 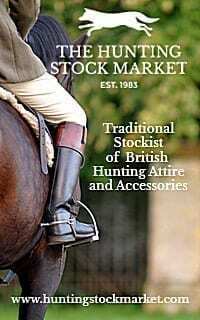 Finally, within our store we have a full range of essential items for hunting people:- perhaps a printed Directory to start or complete a collection? Perhaps the Hunting Companion that small but invaluable reference work. In addition you can purchase our latest publications of which we are justifiably proud. They include the 160 page Baily’s Hunt Report book that allows you to record the events of the day and refer back to them for many years to come. Our latest hardback book ‘Great Days Two’ folowing on from ‘Great Days’ published 1997. ‘Great days Two’ provides a miscellany of hunting incidents and accidents both thought provoking and humorous from all parts of the hunting world and would make an exceptional gift.